In “Chasing Coral,” scuba junkies and biologists get their hearts broken under the sea. After filming in the piercing blue waters around Lizard Island in Australia’s Great Barrier Reef in late 2016, diver Zack Rago had had enough. He took out his whiteboard and marker, made for underwater use, and scrawled a note to his fellow camera man: “This is the worst dive of my life.” Rago had just reviewed the footage of what Lizard Island’s corals looked like a month before, when they started filming, and the pace of destruction had become all too clear. “It felt like a slap in the face,” Rago said. “I had never seen any scientists cry on camera,” Director Jeff Orlowski said. 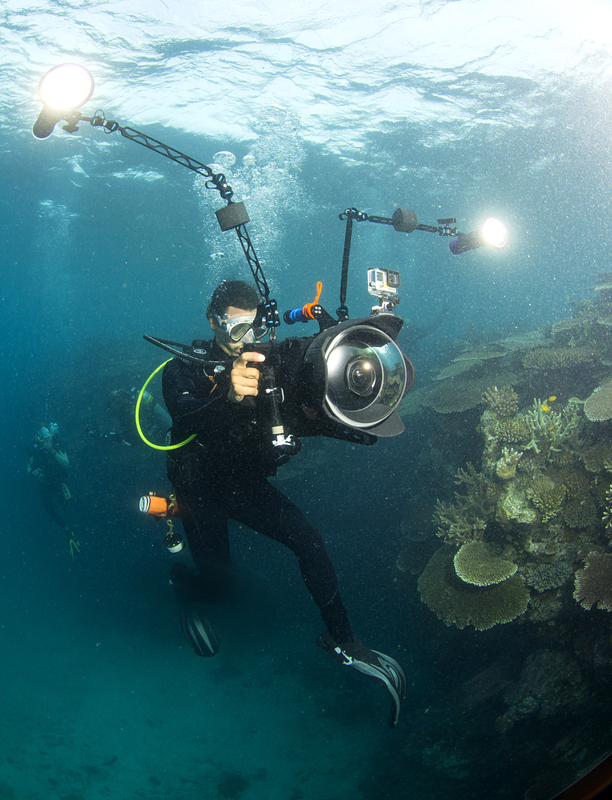 Rago was in the final stages of filming Netflix’s new documentary Chasing Coral, a crash course on how climate change is devastating our underwater ecosystems. The documentary, premiering July 14, doesn’t sugarcoat the current state of our oceans, explaining that in the last 30 years the world has lost half of its corals, mainly due to coral bleaching—a natural phenomenon that happens when ocean temperatures rise and coral transforms from brilliant colors to stark white. Happy corals can live for thousands of years. The corals’ striking colors come from the algae that live inside their tentacles; the corals provide shelter and the algae provide food. When temperatures rise—just a few degrees is enough—algae become uncomfortable and destructive, and the corals expel them, reducing the hosts to colorless, hungry skeletons. Unless the environment becomes more temperate and the algae return, the corals will starve to death. Coral reefs, also known as coral forests, create an underwater ecosystem that 25 percent of all marine life rely on for food and shelter. But that’s changing as the oceans warm. The Great Barrier Reef—a forest of coral that is larger than the Great Wall of China—has had two detrimental bleaching events, affecting 67 percent of the reef, in the past two years. Chasing Coral helps connect the dots between the state of the oceans and the future of life above land. The ocean absorbs 93 percent of the extra heat that’s trapped by climbing greenhouse gas emissions, which are mainly caused by humans burning fossil fuels like coal and oil. If it weren’t for the ocean absorbing that heat, the average temperature above water would be 122 degrees Fahrenheit.